The beautiful bride is Melissa Taylor, the groom , Jason Ball. 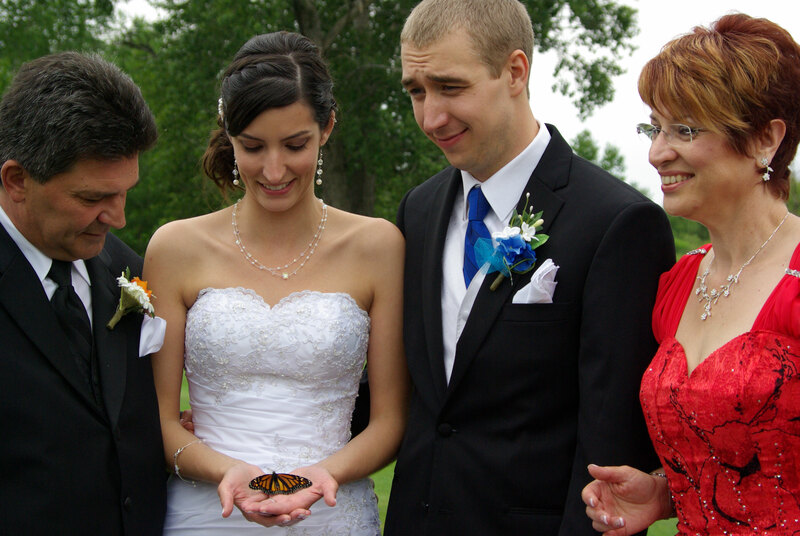 It's not hard to imagine the excitment of releasing butterflies at a wedding. 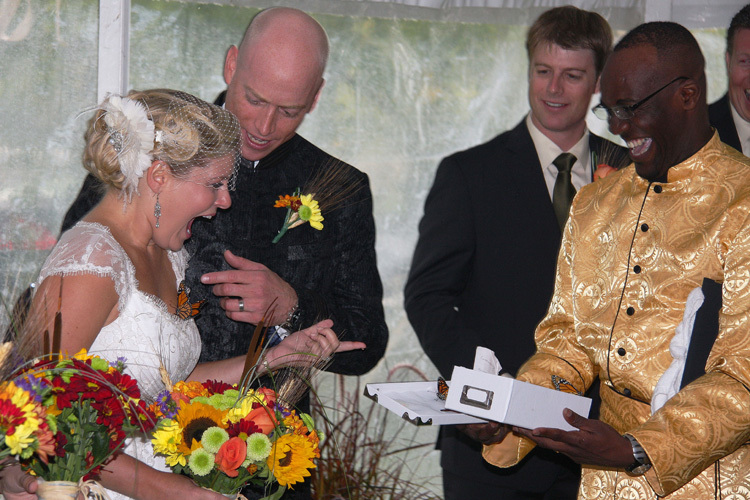 Below the father of the bride wears a unique corsage. 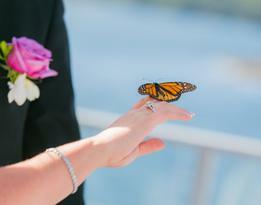 Words cannot begin to express what an impact performing the butterfly ceremony at my son's wedding did! 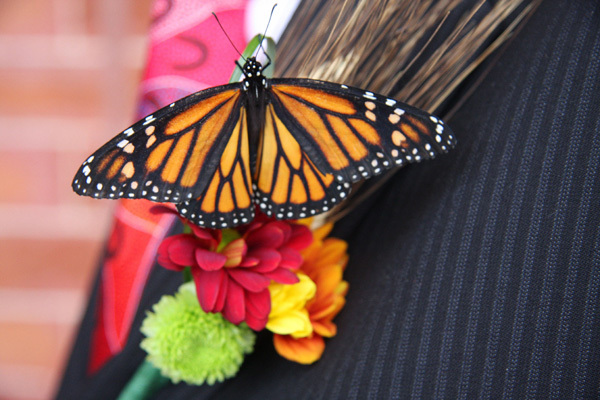 It was so spiritual and moving and the butterflies were so beautiful! A couple of them had wiggled under the mesh but I gently lifted the corner and off they flew! 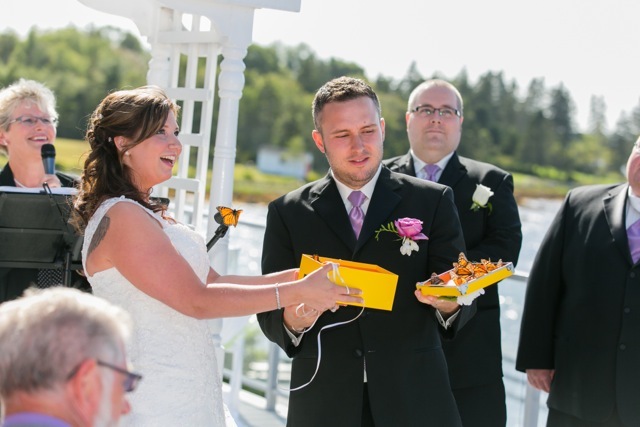 I was still able to keep it a total surprise (even to my husband!). I had so many guests approach me during the evening to tell me how moved they were especially those family members who I called up to whisper their wishes in remembrance of loved ones with us in spirit. Thank you again for responding to the call from me - it was meant to be.